We carry slip resistant shoes from the major brands you know and trust. Our entire selection of shoes meets minimum requirements of slip resistance to provide you with the confidence and safety you deserve. You can find more information about the leading brands we carry below. SR Max is the manufacturer and sole distributor of our own top rated line of SR Max brand footwear. The SR Max line is designed for the most slippery working conditions, while still offering stylish, comfortable and affordable shoes. SR Max slip resistant shoes also features the industry leading outsole technology that outperforms all competitors in oily/wet conditions. Skechers work shoes combine traditional Skechers design prowess with a slip resistant sole for trend-savvy men and women. With a variety of product offerings in many styles and colors, Skechers slip resistant shoes offer an alternative for those tired of ugly, uncomfortable work shoes. 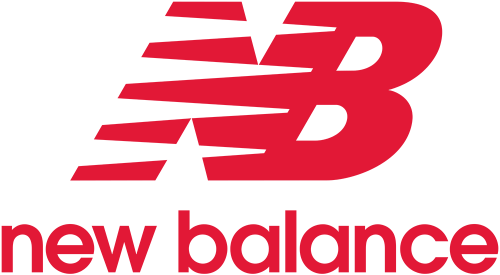 New Balance began as an arch support company in the early 1900's and developed into a specialized shoe manufacturer in the 1970's. They ensure the best fitting, best performing shoes and apparel by focusing on improving their technology and production methods. Today this has resulted in a quality, comfortable, stylish line of New Balance slip resistant shoes for work. Reebok lays claim as the best selling athletic brand of safety shoe in the United States. With a rich history of iconic shoes, it’s not hard to see why! Combine that history with a slip resistant outsole and it’s a clear to see why Reebok slip resistant shoes are a market leader. The Rockport Works line is designed, manufactured and distributed by Warson Brands, LLC, under license from The Rockport Company, LLC. Today Warson’s commitment to innovation is stronger than ever. Inspired by an ever-changing world, they are dedicated to making every step of every climb, every shift and every tour seem like a walk in the park when you are wearing a pair of Rockport slip resistant shoes. The Crocs™ brand stands for innovation, fun and comfort for people who want shoes that conform to their personalities and lifestyles, as well as to their feet. Combining revolutionary Croslite™ technology for comfort and Crocs Lock™ tread design, Crocs slip resistant shoes let your feet “feel the love” while you work.